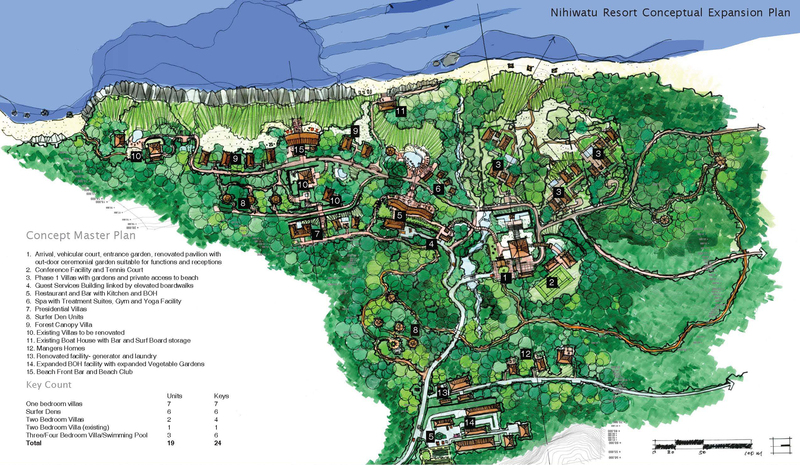 Mr. Mehta was the lead Consultant, site planner and landscape architect for an existing award winning ecolodge in Sumba Island. Mr. Mehta led an ecolodge ‘dream’ team (Simon Velez- Bamboo Architect, Paul Pholeros – Environmental Architect, Marcelo Villegas – Bamboo furniture, Matt Flynn – Landscape Architect) to provide Conceptual and Schematic services for the expansion. The master plan includes high-end rental pool luxury homes, entrance arrival experience, spa and wellness center, new ocean villas, stables (2/08 to 6/09).